Spawn fans should get excited, as the anticipated movie reboot just took its next big step. 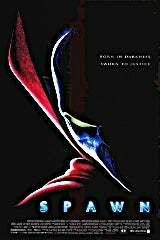 Todd McFarlane announced the new Spawn movie last year, and it seems to be rolling along quite smoothly. ComicBook.com's Jim Viscardi had a chance to talk to McFarlane about the project, which just started officially casting. "We just officially the other day had our first casting meeting, and so what that means for anyone listening today is with the final script we're going to start sending that into Hollywood to actually go pick up the cast members," McFarlane said. With a final script in hand and casting underway, Spawn is marching ever closer to the big screen once again, and McFarlane gave fans a sneak peek behind the scenes. "So what you do during those first couple of meetings is go through all the characters and then sort of throw some names and bat some names around for people you think might fit it," McFarlane said. "More specifically, are there actors or characters you've seen in other movies that you think fall into that pool, because all of that gives the casting director a picture so that they can go 'oh, okay, I know who to go after now that we're doing it.' So we've officially begun the casting process." While Spawn is the headliner, he isn't necessarily the biggest role in the film. "There's two big roles in the script," McFarlane said. "There's obviously sort of Spawn himself, although in a weird way it's not the biggest role, and then there's the cop. The cop is this character Twitch who's been there since issue #1. Twitch is the role in this one, and I sort of refer to him as my sheriff Brody, who is the sheriff in the Jaws movie. Although it was called Jaws, Jaws didn't really talk a lot inhis movie, right? He just kind of showed up at the opportune time to make the movie worthwhile." Spawn will be coming from Blumhouse, makers of The Purge, Paranormal Activity, and The Belko Experiment. The budget will be in the $10 million range, and no official release date has been announced.